can cut carnations from walmart be planted with the expectancy of sprouting roots and growing into full plants? There are so many different perspectives from which we look at plants. Take lantana plants, for example. In the North, where they are treated as annuals, many see them as occupants of hanging baskets (a popular way to sell them at garden centers). But in Florida, where they have naturalized, they are often viewed as invasive plants by residents. But we may also form impressions of plants based on encounters with them in our travels. I encountered lantana plants in the Mojave desert when I was journeying on historic Route 66. To be sure, they were not growing wild. But a general store just off the road had planted lantanas of various colors in a container garden to greet thirsty customers. Indeed, after traveling through the Mojave for miles, their lively flowers were a welcoming sight to eyes thirsting for color. Who said the age of romance was dead? If youÃ¢? ?re looking for a special romantic gift why not choose a pretty bouquet of flowers. Traditionally, seasonal blooms have always conveyed the feelings we want but today we have more ways to show what we are thinking. We can also show our nearest and dearest how we feel with chocolate or perhaps cakes marking a special occasion. If chocolate be the food of love then play on with handmade Belgian ones that are delicious little pieces of love and can certainly convey that important message for you. Increasingly we are looking to send hand decorated cakes with our message of love. Perhaps a glorious triple choc or maybe even passion fruit flavour? Cakes can be made to convey whatever message you want. When you send flowers be aware that blooms contain really subtle messages and different flowers convey very different meanings. ItÃ¢? ?s always worthwhile knowing exactly what you are saying when you send flowers. Roses have been associated with love since Ancient Greek and Roman times with different colours showing different aspects of love where as Delphinium are associated with driving away scorpions so be very careful what flowers you send and what messages are contained in your bouquet. Think how inappropriate would it be to send flowers associated with funerals as part of your romantic bouquet. Today, all too often we show our nearest and dearest our true feelings with a simple box of chocolate or posy of flowers or maybe that little cakes we were talking about.Perhaps, though, we donÃ¢? ?t put enough thought into what we are sending. Sometimes itÃ¢? ?s too easy to just click and pay and have it all done for us. 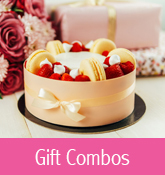 Perhaps we need to come up with a grander gesture if we are to be really convincing.One way is to strengthen your message with a little extra gift.How about sending your flowers accompanied by those hand-made chocolates or that stunningly decorated cake? 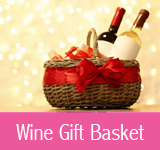 For an extra special gift you need to be certain that what you are sending expresses your feelings correctly. Can you afford to choose just any old website for your gif? 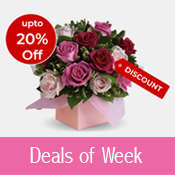 You really need one that does justice to the flowers, chocolate or cakes you are actually sending. How clear are the pictures you are looking at? Do they show you want you are sending? You should choose a site that has the best images to get the best idea of how your romantic gesture will look, if not you may find you are sending buckets of delphiniums rather than bouquets of roses. Retail florists in Pune,India has experienced a significant increase in the number of early New Year orders, owner of Sneh Florist said "Giving fresh flowers or bouques is one of the best ways to show someone love and devotion,People use this occassion to greet their clients to develop relations and reletives and friends like they wish them on ospicious Dipawali fest". Last modified on Jan 23, 2012 | TFE v1.2 | © 2005-2017 Gifting Inc.